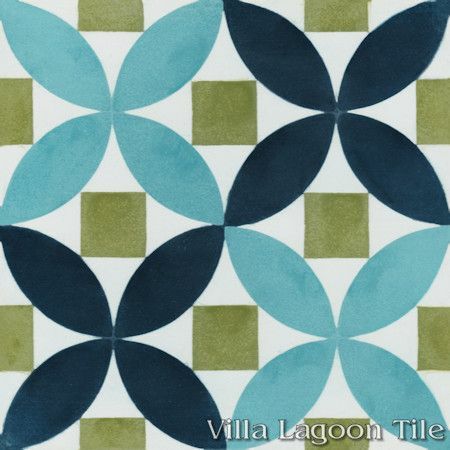 This is a 4-color 8" cement tile, using White, Picholine, Deep Inlet and Bimini from the South Beach Palette. 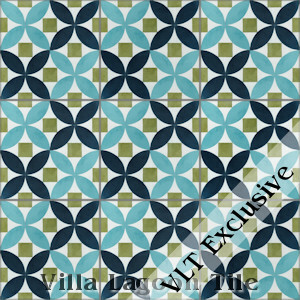 We have produced several colorways of our Villa Lagoon Tile exclusive cement tile pattern "Saint Mark's". 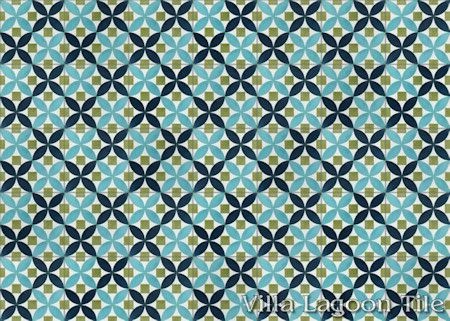 Inspired by the marble and stone mosaics of Saint Mark's Basilica, interlocking circles create stars, nested with squares and diamonds. 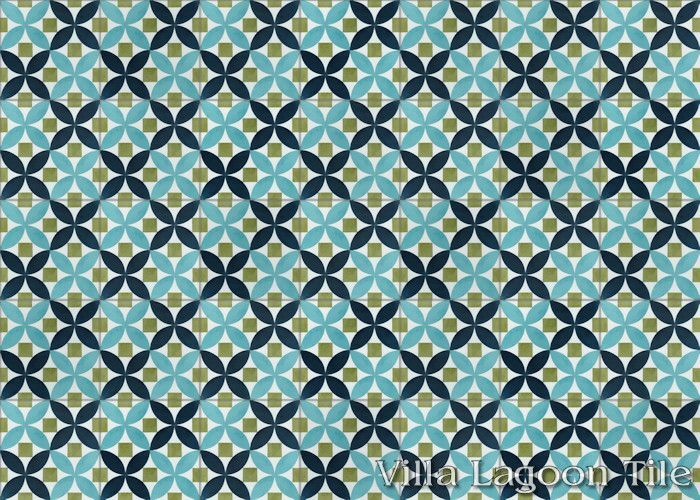 This production "Saint Mark's Bimini" features soft features green and blues across a white field. Standard Price:$7.29 per tile ($16.76 / square foot)8 tiles per box.